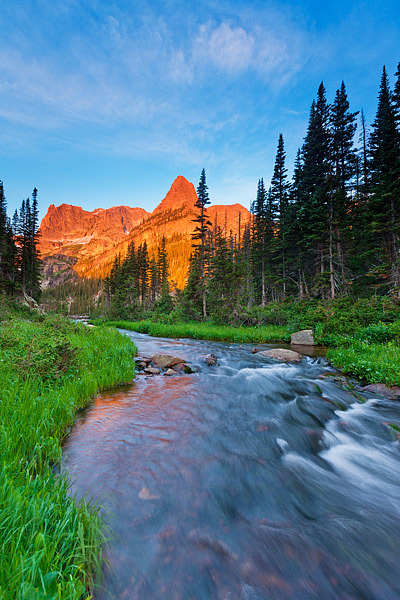 Fern creek flows out of Lake Odessa as the Little Matterhorn and Notchtop Moutain glow red as the sun rises. This location is a 4 mile hike from the Bear Lake trailhead and one of the most popular hikes in Rocky Mountain National Park. The Little Matterhorn is named after the likeness of its Europeon counterpart. Photo © copyright by Thomas Mangan.